Is Europa League the last chance for Sarri to save his job? It's fair to say that it's been a season of transition for Chelsea under Maurizio Sarri. The 60 year-old replaced his compatriot Antonio Conte at Stamford Bridge last summer after months of speculation and there was high hopes amongst the Blues supporters that he could inspire a title challenge after a successful three-year spell with Napoli. The Italian transformed the Serie A outfit into genuine title contenders, very nearly putting Juventus’ era of dominance to a halt, so hopes were high ahead of his first job in England. But unfortunately as of yet, Sarri is yet to win over the supporters after a testing campaign. On paper Chelsea have one of the strongest squads in the Premier League but they still find themselves a massive 26 points behind leaders Liverpool, which certainly won’t sit well with trigger happy owner Roman Abramovich. The Russian billionaire has proven in the past that he isn’t afraid to axe under-performing managers and Sarri will definitely be looking nervously over his shoulder. 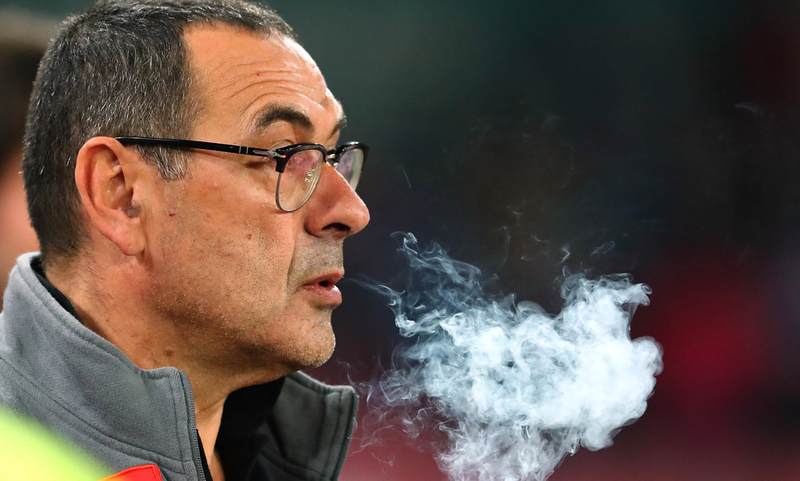 A top four finish and a return to the Champions League would’ve been the bare minimum requirement for Sarri coming into the campaign and that still isn’t secure, with them three points clear of fifth placed Arsenal having played a game more. Successive seasons without CL football is unthinkable for a club of their size and it’s imperative that they break back in there, which is still possible. Should they win their five remaining league games they’ll be in with a fantastic chance of qualifying for the CL via a top four finish, but another possibility is the Europa League. The winners of this competition gain automatic qualification which makes it very appealing and with a very winnable quarter-final tie against Slavia Prague to come, Sarri will see that as a big opportunity to get the fans on board. Antonio Conte finished fifth with Chelsea last term, winning The FA Cup but still lost his job. Will Maurizio Sarri suffer a similar fate should he win the Europa League and/or finish in the top four? It seems like forever now that Maurizio Sarri has been the favourite in the ‘Next Premier League Manager to Leave’ market. Chelsea’s inconsistent season saw them briefly flirt with the runaway top two before sliding down the table and putting their hopes of a return to the Champions League in serious jeopardy. Now at 5/1, he’s still shorter than any other manager to depart his position but things have improved slightly at Stamford Bridge over the last couple of months. One defeat in nine in all competitions has raised spirits and they’re looking in good shape as we approach the business end of the campaign. They’ve won each of their last three games which is great form to take into the Europa League on Thursday night when they travel to Prague. 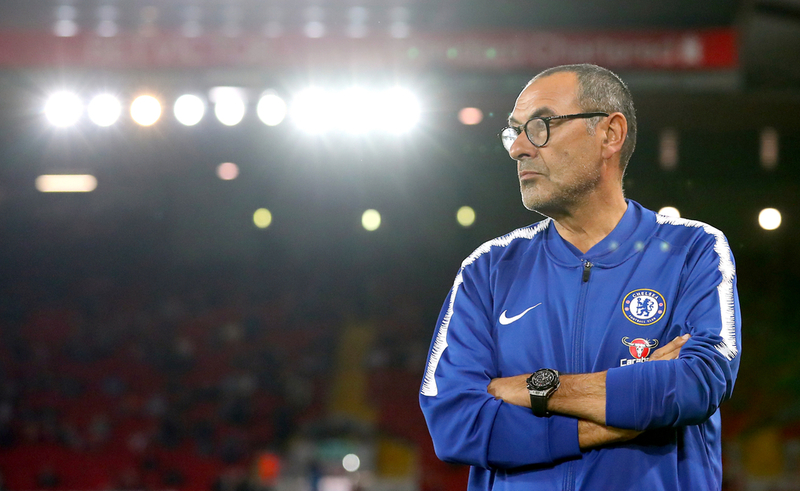 This competition has been kind to the Blues this season and it’s given some of their fringe players the chance to give Sarri a real selection headache – although the Italian is amongst the most stubborn managers in world football. The likes of Olivier Giroud and England duo Ruben Loftus-Cheek and Callum Hudson-Odoi have excelled in the competition but have had opportunities in the PL severely restricted until recently. Pressure from the fans has led to Sarri giving the Three Lions pair some much needed minutes recently and they’ve repaid him with some excellent performances. Chelsea have a reputation for selling on their young talents and it has come back to haunt them with the likes of Kevin De Bruyne, Mohamed Salah and Romelu Lukaku going onto achieve success elsewhere. 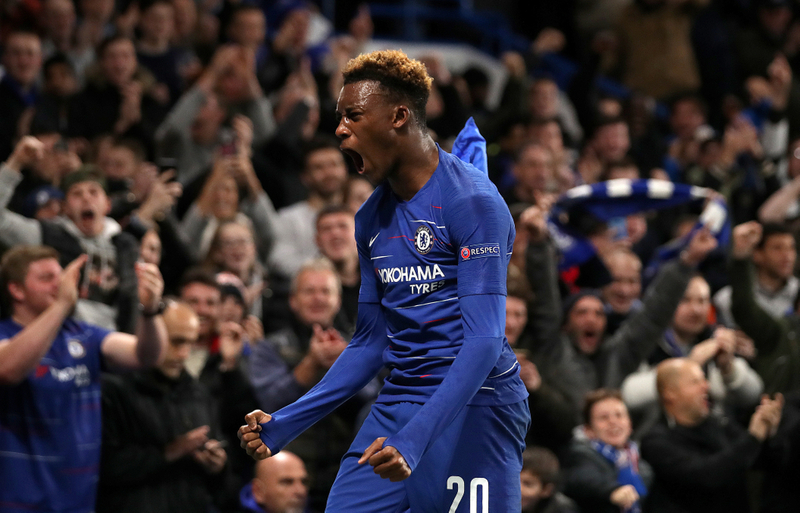 So the fans are obviously desperate for them to retain and play Loftus-Cheek & more so Hudson-Odoi, which Sarri has been reluctant to do. The Italian firmly believes in his ‘Sarri Ball’ philosophy which brought him success in Italy, but is yet to consistently click in England. The supporters have grown frustrated by seeing the same line-up every week, along with the same predictable like-for-like substitutions when they’re chasing a game. With pretty much every Chelsea match this season featuring Kovacic replacing Barkley or Willian for Pedro. With the Europa League reaching its conclusion and just five match days of the Premier League remaining – Sarri can’t afford any more slip-ups. After their trip to Prague on Thursday night they have the unenviable task of a trip to Anfield to face title chasing Liverpool along with tough games at both Manchester United and Leicester – so despite them currently holding third position they certainly have a fight on their hands to retain it. 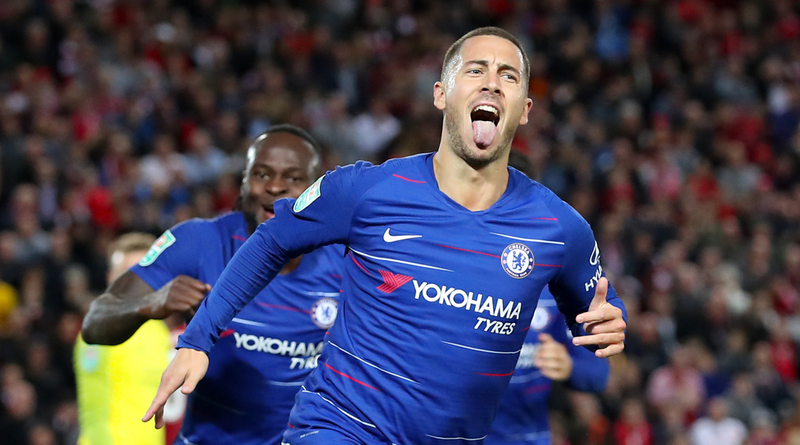 But things have improved, three wins from three will mean their full of confidence and in Eden Hazard they have one of the Premier Leagues, and Europe’s outstanding individuals. The brilliant Belgian is enjoying the most productive season of his career with 28 goal involvements (16G 12A) in the top flight alone and he will be crucial in their end of season run-in. But rather worryingly for Chelsea fans, this is looking increasingly like the end of his stay at the Bridge with Real Madrid strongly linked with a mega money transfer. This summer he enters the final year of his deal and regardless of the Blues making a return to the Champions League and possibly winning silverware, we’d be amazed to see him stay. The consequences of his potential departure simply can’t be underestimated and should Chelsea get their transfer ban suspended (meaning they can purchase new players this summer) a big overhaul will be in order. Sarri has made three signings since joining Chelsea in Kepa Arrizabalaga, Jorginho and Gonzalo Higuain – with the latter two struggling to win over the Blues supporters. It isn’t a great track record and with this window being absolutely crucial to the future of the club, it would be surprising to see Abramovich trust him to oversee it. IS HE THE MAN TO LEAD CHELSEA FORWARD? The next few weeks absolutely crucial for the future of Chelsea Football Club. Failure to qualify for the UEFA Champions League for a second successive season is unthinkable for Abramovich who’s pumped in some incredible sums of money since buying the club back in 2003. Getting in via a top four finish or winning the Europa League would ensure they end the campaign on a high and more importantly make them an even more attractive proposition for new arrivals. The Blues were given a transfer ban by FIFA lasting the next two windows after breaching rules over signing foreign U18 players, which is going to have a massive impact on the club. They have appealed it which if successful will suspend the ban until at least this summer, so we’re expecting the chequebook to be out a lot over the coming months. However, with them unable to sign players for two windows they need to be efficient in this window which won’t be helped by the probable departure of talisman Hazard to Real Madrid. The managers don’t usually have the final say in transfers at Stamford Bridge but we’re not expecting Sarri to be around to be involved in the recruitment process at all, regardless of what The Blues achieve this season. Overall we have seen flashes of what Sarri wants Chelsea to be and how good they can be, just unfortunately for him they haven’t done it consistently enough. The clubs hierarchy are amongst the most impatient in world football and we’d be absolutely amazed to see Sarri at the helm for the 2019/20 campaign. Winning silverware doesn’t guarantee you a job as Antonio Conte found out twelve months ago and it looks like we could have another Italian axed by Chelsea in the very near future.